It has been decided... I am back in the gym next year. At my last physio appointment I was told I could go back as long as I didn't over do it so come January I will be hitting the gym 3 times a week, I am determined to get my strength back in my leg along with finally loosing weight and getting fit once again. I am just hoping that 2019 doesn't have too many set backs as I really want to get back on track. Alongside the gym I will also be doing some football training in the garden or on a local field once the lighter nights come back. 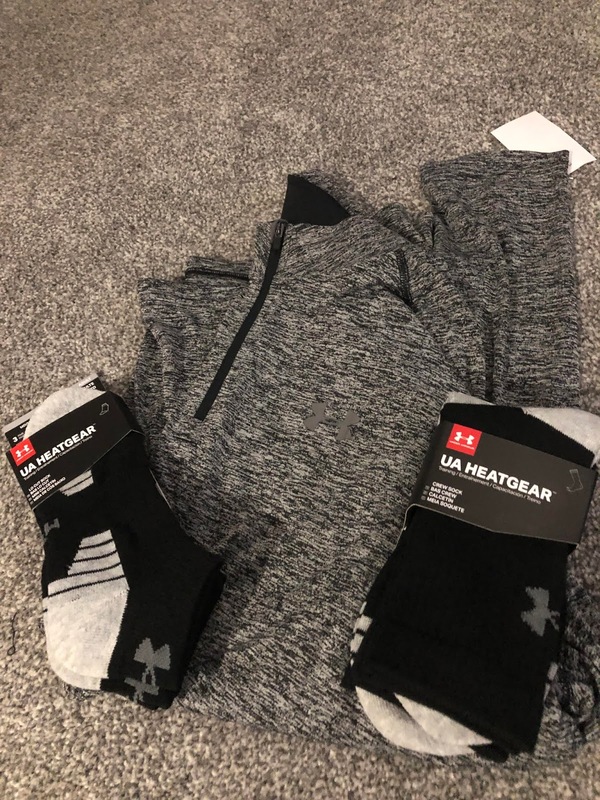 I seem to have fallen into a love of Under Armour clothing, so I knew I was going to be all kitted out in this brand. The clothing just looks so simple but is really good for exercising in. Not only would I wear this for the gym and football but I would also wear this for when I go to my physio appointments. DW sports had some pretty good offers on over the weekend so I managed to pick up this t-shirt for just £20 which I think is really good value for your money. I absolutely love how it is black but with the grey accents on the edge. I also picked up these shorts for £22 as they match the t-shirt a little as they have the grey logo on the black shorts. I can't cope with shorts from the women's department as they are just too short, which is why I love the Under Armour ones as they come in a variety of sizes and these just fit me much better. Sports socks are my favourite, either ankle socks or crew socks, my drawers are full of Nike one in all colours but I really fancied trying some new ones as the Nike ones are close to being thrown out. These Under Armour ones were £8 a pack and you get 3 pairs in a pack which is brilliant. They are nice and thick and super soft which is just what I need for the treadmill and training. Finally we went to TK Maxx and I was surprised to find this 1/4 zip Under Armour top for £16.99, I had been looking at one the same for a lot more in DW so there was no way I was leaving this behind. It is a really thin material but is really soft. It will do for the journey to the gym or when I am training outdoors, I may even wear it whilst I am in the gym on colder days. The colour also goes with the rest of the items I managed to pick up. 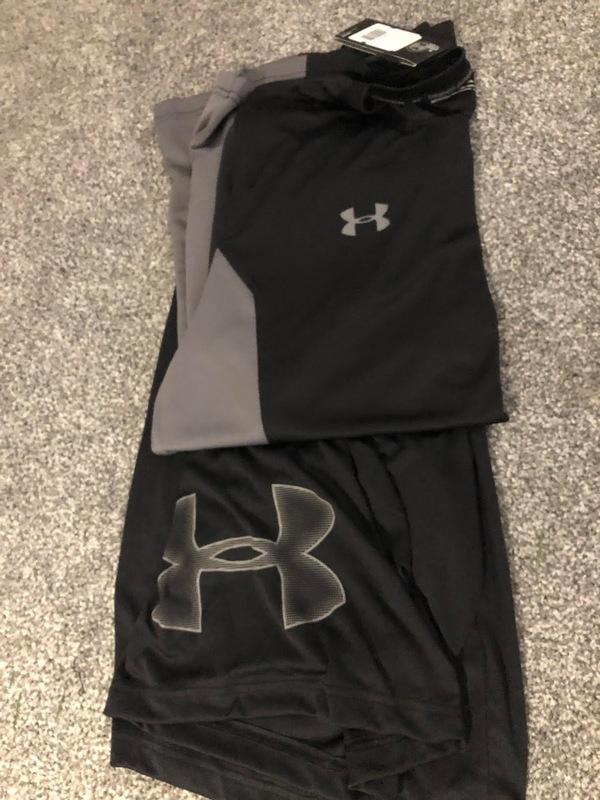 I am one of these people who can't mix and match their brands whilst working out, I need to stick to just one as I think it just looks better so you can definitely expect to see more hauls coming very soon as I have quite a few bits I want to pick up and I can see most of it being Under Armour.